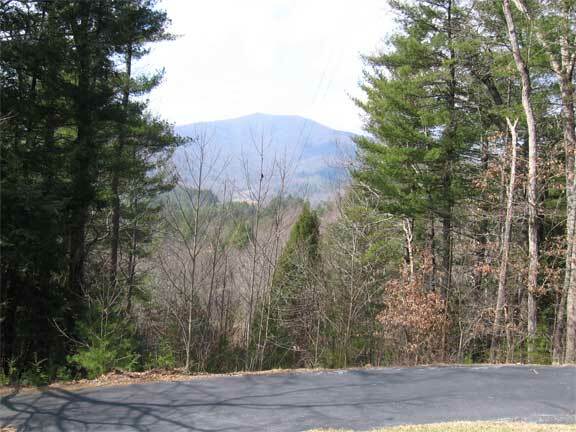 12.3 miles  On the right is the home of Harold Hunter and Donna Lusk Hunter. The Lusk’s came to the U.S. in the 1700’s from Scotland. There were 6 brothers. 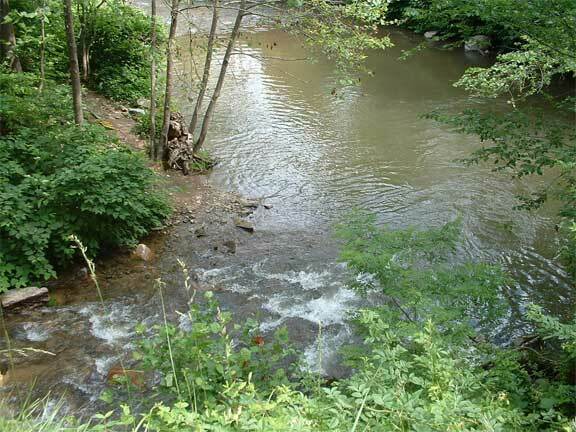 Three settled in Arizona and three in the Carolina’s, one of those in Spring Creek. Samuel Lusk bought property in Spring Creek in 1808. William Lusk bought 300 acres in 1813 and the Lusk family still lives on this property. Four generations of Hunters (Lusks) still live in Township 8. Rev. John Sydney Lusk donated the land for Lusk Chapel which is located on Hwy 209 N. of the 63-209 Intersection. 12.4 miles on the left is the old Tomato Company. This property first appears in court house records in 1870 when J.R. Hill and his wife sold the property to D.P. Plemmons. D.P. paid $500 for 120 acres. Six of D.P’s children are buried in an old cemetery on the place. They all died in the period from 1882  1883. The Tomato Company came into being somewhere in the mid to late 1970’s and stayed in business until 1981. It was the first industry in Spring Creek. 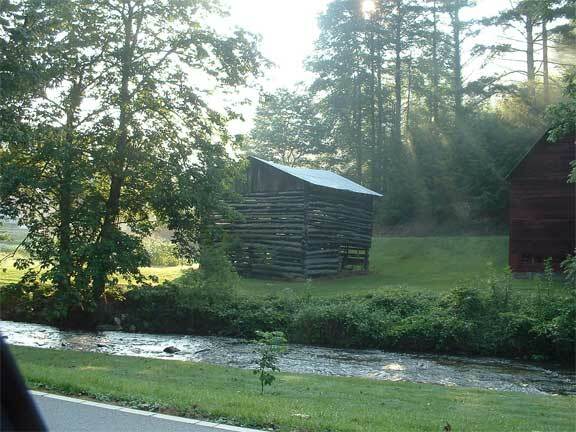 A widow and her friend, Grace Carver and Dolly Williams, were the proprietors and managed a packing house down in the lower holler which has since burned down. 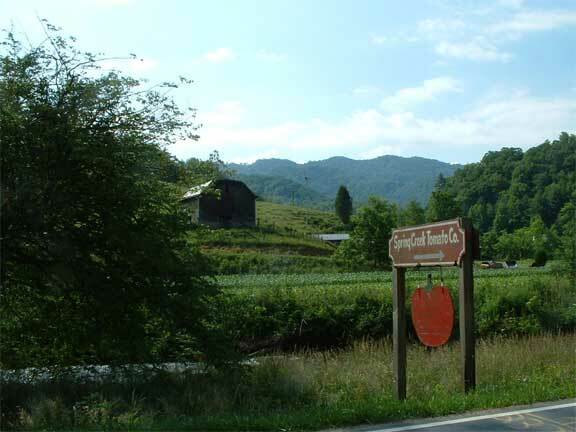 While many of the families in Township 8 came from England or Scotland, others came from across the mountain at Catalooch; dispossessed when the government bought their land for the Smoky Mountain National Park. Some of the families who came to Spring Creek at this time were the Caldwell’s, the Woody’s, and the Messers and their old homesteads can be visited at Catalooch. 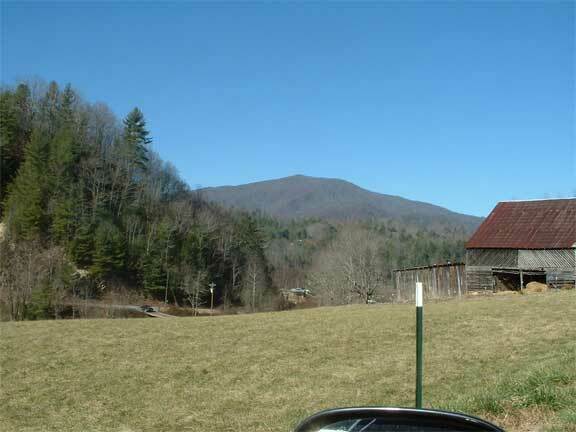 13.9 miles  Meadow Fork Road on the left leads to Little Creek Road and the drive to Max Patch. 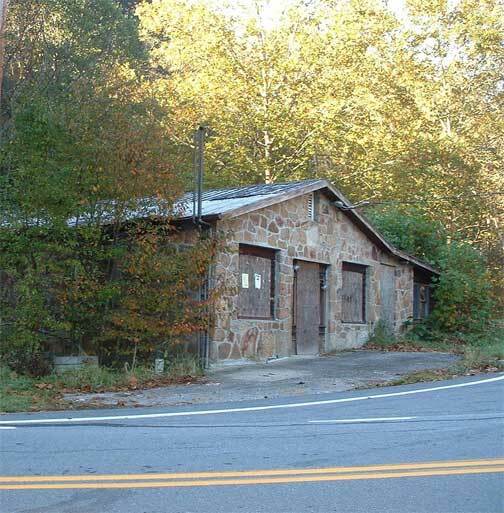 The old stone store on the left was the Caldwell Store that was managed by Sam Kirkpatrick and his brother, Jack. Sam, a descendant of the Caldwell’s still lives on Spring Creek with his wife Kate and according to local stories, Sam started the first well drilling company in Spring Creek. 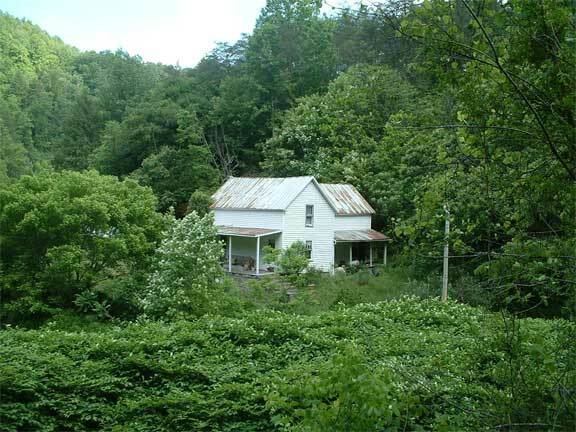 13.8 miles The little house across the creek was the home of Calvin and Nannie Lou Cogdill. Nannie Lou was the twin sister of Annie Bell Fleming. 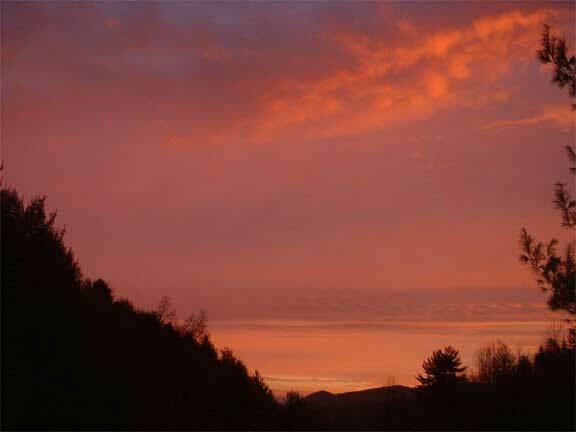 14.6 miles - On the left is the road to Gorenflo Gap at the bottom of Bluff Mountain. If you take this road to the very end, remaining on it after it becomes a dirt road, there is a parking lot and access to the Appalachian Trail. North is to Hot Springs and South is to Max Patch. 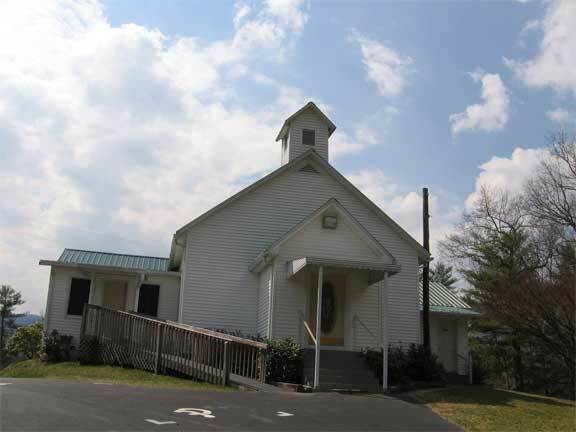 15 miles  Zion Missionary Baptist Church was founded in 1859. The current building was built in 1903 and the land for the church was donated by Garrett & Laura Waldroup, Ed & Lila Lankford, David & Willeene Kimberly, G.V. & Hester Russell, and Harold & Sadie Finley. The first congregation had 30 members and the first pastor was Eron Roberts and the assistant pastor was Davie Fisher. From the hillside behind the church you can see down into the Bluff Community with Bluff mountain beyond. There are many more old Spring Creek families living in Bluff that are not yet mentioned in this brochure, including the Reese’s, the Brook’s, the Kimberly’s and the Waldroup’s. 15.9 miles - The Spring Creek Fire District Sign on the left marks the end of Township 8. You will reach the intersection of Hwy 209 and Hwy 25-70 in Hot Springs in 5.1 miles. Many families have passed through our communities. Some were and still are landowners. Some were tenant farmers and share croppers. Many moved on in the 1930’s and 40’s to find work in the automobile industry or the cotton industry. Some went away to obtain higher education and/or work but returned. Some are gone for good. There are also many families of Cherokee descent in our community but much of this heritage has been lost as folks had to hide that part of their ancestry so as not to be forced to leave their homes and march West. But what is of greatest value remains. This is a place where folks care about one another. There are always casseroles at a time of sickness; someone to drive you to a doctor if you can’t get to your appointment, and a benefit at the Volunteer Department Fire Department sponsored by a local church if a family finds itself down on its luck. In a world of Walmart’s and gated communities, Spring Creek is a rare and beautiful place. But land values are rising and so are property taxes. Grown children inheriting the land who live far away are not necessarily able to keep it. Some young people are moving in and making a living doing organic farming or working in the trades but it is becoming increasingly difficult for them to be able to afford to buy property. And the land speculators have found Township 8 and treat our community as a commodity. None the less, Spring Creek remains for now -- a beautiful rural place, filled with warm and caring people.